From Slum to Plum: Dwele collaborated with Slum Village early in his career. JAZZ GUITAR great John Scofield has played at the Agenda Lounge, as has Jewel. Young soul man Dwele (a.k.a. Andwele Gardner) is set take to the bandstand there Thursday and could probably hangand jamwith either. A trumpeter and pianist who was a member of jazz groups in his teen years, the Detroit native took in a sonic pinwheel full of sounds growing upStevie Wonder and Donnie Hathaway plus the local sounds of hip-hop and dance music. He played in a high school band with Marcus Belgrave Jr., a double bassist whose trumpeter father played in Ray Charles' band and mentored a bevy of area stars including saxophonist Kenny Garrett, pianist Geri Allen and bassist Robert Hurst. He turned to music at age 10, when his father was gunned in front of the family home. "After that happened, and I found music, I kind of shut myself out from a lot of things," he explains. "Like a lot of my free time, I put towards music. And it was just me and the music. "I didn't find musicians and grow with them," he continues, speaking by cell phone while driving around the streets of Motor City. "It was just something I did to get away. It was a like a form of escape, almost." While in high school, he also started to MC locally. Those successful experiences led the lifelong instrumentalist to try out singing and recording a demo, Rise. Uncertain of his vocal future, he only made 100 copies of what has since become a collector's item. The local underground hip-hop trio Slum Village liked what they heard of Rise and invited him to work with them, giving him both recording experience and exposure. "I learned how to work with other people, being that, growing up and making music, I pretty much did everything myself all the time. So it's something new for me," he says. "They actually opened the door for me to be able to put my own thing out. They kind of put the industry eyes on me by allowing me to be on their album, so I'm always in debt to them." 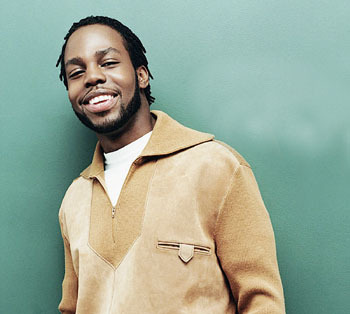 Signing a contract with Virgin Records in 2000, Dwele released his official debut, Subject, in May 2003. There's old-fashioned organic soul sounds ("Show Ya Right") as well as contemporary production aesthetics ("Money Don't Mean a Thing"). "Twuneanunda" is a humorous number about the melodrama of being just a few months short of turning 21 while trying to have a respectable social night life; the title track, in turn, is a romantic song worthy of the greater neosoul songbook. As Dwele heads out West, he's in the process of sequencing tracks for his sophomore album, which should be released in August or September by Virgin again. "I'm pretty much putting the finishing touches on everything and putting the album together, making it all make sense," he says." That's the fun part! After making the songs, now it's time to make it all make sense, to build a storyline out of the songs that you have." The repertoire for the Agenda show will focus on older songs, though he promises a "sneak preview" of sorts of some new material. "It'll be diverse, but it'll still have the same feel as the last album," he says of his new music. "I didn't want to scare anybody, so it's an advance of the last album, like a continuation." Very much the product of a musically diverse city, Dwele is proud to continue the area's musical tradition, which extends from jazz to Motown to hip-hop. He's even curious about the local garage-rock scene. "I'd love to expand my musical horizons and mess with some rock. That'd be hot," he exclaims. "Looking forward to the day. I might to try to reach out to somebody on that." Well, the White Stripes do have a new album coming out. "Yeah, there it is," he replies. "I might have to contact them!" Dwele appears Thursday (June 2) at the Agenda Lounge with DJs Golden Chyld, As-Is and Noahdeeakili. The show starts at 11:30pm, and tickets are $10. More info: 408.380.3042.